In my exploits in the kitchen as an enthusiastic home cook, I am usually looking for more than one way to use a new ingredient (or an old one) that I really like. The same is true with Predictive Analytics – there is more than one way to use analytics to get your desired result. Most companies collect data on their customers. In addition to typical demographic information like name, address, age, and gender, many marketing departments actively report on customer purchasing behavior, email response rates, and the effectiveness of direct mail campaigns. But what are you supposed to do with all that data, once it’s been collected? That’s where the power of Predictive Analytics comes in. By using science to predict behavior based on data, Predictive Analytics helps you take action. Instead of simply collecting data for its own sake, Predictive Analytics shows you how to use that data to make effective changes to your marketing strategy – the kind of changes that dramatically increase profits and reduce your marketing costs. Do you really know your customers, or have you made assumptions that could be dead wrong? Without an accurate picture of who your customers are, including gender, age, education level, and household income, it’s impossible to predict future behavior and increase profits. With Predictive Analytics, you’ll gain a deep understanding of what makes your customers tick, including what motivates them to buy and when they’ll be most likely to make a purchase. Armed with specifics about your customer, you can then market to them on an individual level, which is exponentially more effective than guessing. Chances are your email program collects data on your behalf – things like email opt-out rates, bounces, click-throughs, and complaints. But what are you supposed to do with all that data? With Predictive Analytics, you can use the email data you already have to determine an email strategy that will be most effective with your customers. You will also eliminate what’s not working and accurately predict which types of email campaigns will get the highest conversion rates. Predictive Analytics can significantly increase your bottom line by preventing inventory out-of-stocks (not to mention inventory surpluses). When you can predict customer purchasing behavior, you will only order exactly what you need, when you need it. Being able to predict future customer behavior will also help you plan for expansion. Let’s say your customer data indicates a large customer base located in a neighborhood without a retail outlet. These customers currently have to drive 30+ miles in order to patronize your business. This data indicates that a new location built within 5 miles of this neighborhood has a built-in customer base just waiting to buy! The most powerful feature of Predictive Analytics is its ability to provide actionable insights. By looking at the data, you’ll not only be able to predict your customers’ next move – you’ll be able to create an effective action plan based on science, not guesswork. 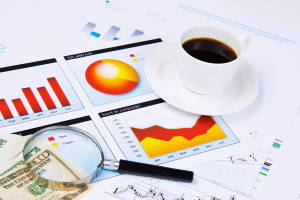 Predictive Analytics is the best way to boost your bottom line. To find out how Predictive Analytics can boost your company’s bottom line, contact Bonnie at (312) 463-1050 or by clicking here.